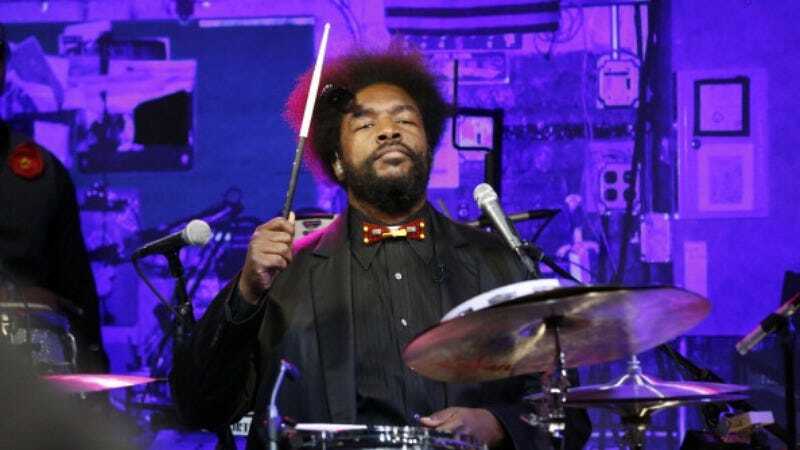 The Roots drummer and late-night bandleader ?uestlove has just signed on as executive music producer for A&E Studios’ reboot of 1977’s Roots. He’ll create authentic African music to score the eight-hour miniseries, which will take another look at America’s history of slavery and revisit the story of Kunta Kinte. The miniseries has also brought in Phillip Noyce and Thomas Carter (Coach Carter) to direct nights one and three. Noyce already knows his way around adaptations, having helmed Patriot Games and 2014’s The Giver. When we first reported the news, A&E’s sister channel, History, was hawking the updated adaptation. Then, in April we learned that the miniseries will air simultaneously on A&E, History, and Lifetime. And now, to complete your Roots reboot history lesson, here’s a reminder that Laurence Fishburne will play Alex Haley, the author of the book on which the miniseries new and old are based.